Participation in clubs and activities helps students develop a sense of camaraderie and make friendships based on common interests. We encourage CHS students to find out what activities we offer, to get involved, and to have some fun while they learn new skills. 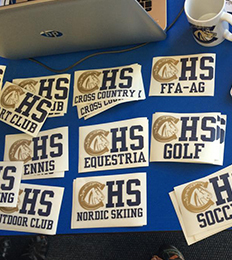 CHS students may choose from a variety of clubs and activities. We’ve got something for everyone! Want to learn more? Contact the school sponsor. Students who wish to participate in a school activity or club must submit the required forms.